The need to integrate, analyze and spatially understand a variety of types of information relating to the environment and its uses has increased reliance on the use of Geographic Information Systems (GIS). GIS permits the assimilation of information across various scales and disciplines providing an effective data management framework. GIS provides the capability to conduct spatial analysis by querying, summarizing and modeling environmental data and corresponding human activities, but also allows for improved understanding through the visualization of the environment, its uses and interactions among stakeholders. Provides an introduction to geoinformatics and other communication technologies useful for environmental management. 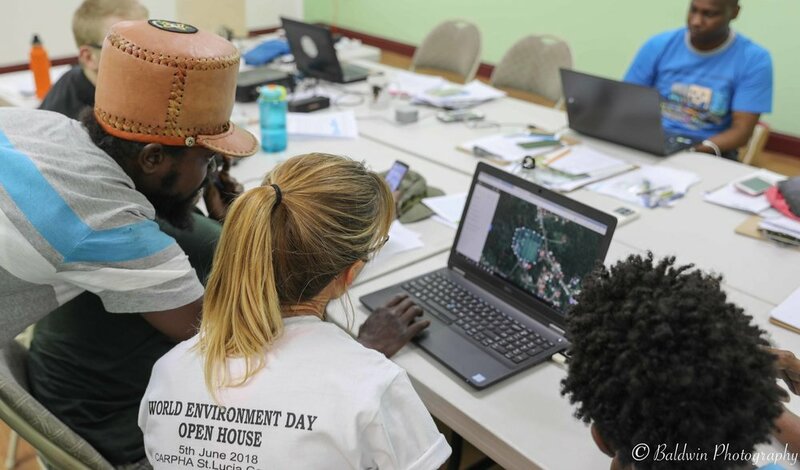 Students will learn key principles of GIS and ecosystem-based management and gain an understanding of the application of geoinformatics for environmental management through a number of theoretical and practical activities using ArcGIS and Google Earth. Learn how to conduct a spatial data needs assessment and inventory allowing you to identify sources of information to allow you to develop a geodatabase and the skills to convert and create a range of spatial information into GIS. Public Sector Smart Energy Programme, Ocean Energy Project, Division of Energy Barbados, 2018. Explore spatial patterns, trends & relationships in your data using a standardized approach to problem-solving using a GIS. Learn about common types of spatial analysis (i.e. density, overlay, proximity and change) and work with analysis, display and visualization tools. Industry-specific advanced spatial analysis courses can also be developed tailored to your organisation’s learning needs.